Turkish hotels have cut staff by 40 percent, some have shuttered for the winter and others are struggling to pay back loans after a trying year when occupancy rates fell to the lowest in Europe, a report said on Monday. The tourist industry, which adds about $30 billion to gross domestic product in a usual year, has been dealt a body blow by a spate of bombings this year, including an attack on Istanbul’s main airport, and a failed coup in July. Long one of the world’s most visited countries popular with Arabs, Russians and Europeans, Turkey has seen average hotel occupancy rates fall to 50.4 percent in the first ten months of 2016, according to the Hotel Association of Turkey (TUROB) , reports Reuters. 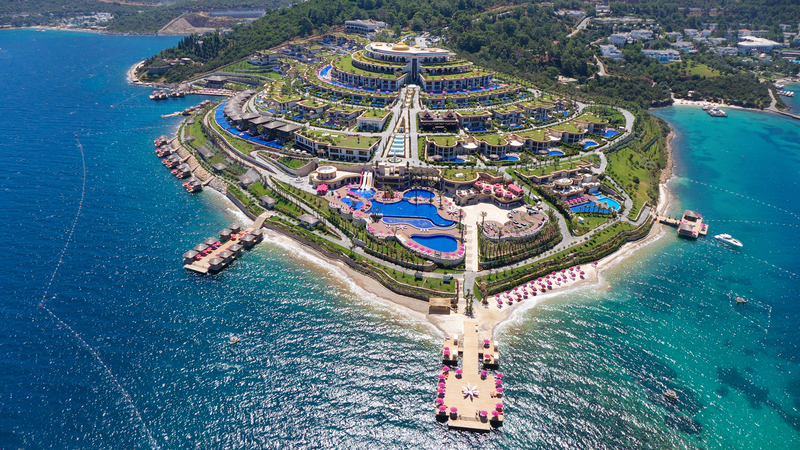 Room revenues dropped by 42 percent over the same period, also the steepest decline in Europe, while some properties saw occupancy rates of just 30 percent, meaning they were operating at a loss, TUROB chairman Timur Bayindir said in a statement. “Some hotel owners have sold their apartments to make the ends meet, and the sector had to let 40 percent of their personnel go,” he said. The number of foreign visitors to Turkey fell by a quarter in October, official data showed last week. That was the smallest contraction in seven months, as arrivals from Russia showed a recovery after Ankara restored ties with Moscow. The drop-off in Russian tourists, who traditionally flock to Turkey’s Mediterranean beaches, had been particularly painful. Relations soured after Turkey shot down a Russian warplane over Syria last year, but ties were formally restored in August. Istanbul has been particularly badly hit this year, with the occupancy rate for the city’s hotels down by more than a quarter in the first ten months. The average price for a room slumped to 99.3 euros ($106) from 124.1 euros a year earlier. Bayindir described the situation of Istanbul hotels as “very grave” and said many may follow the example of some properties in Antalya on the Mediterranean coast that shut down for the winter to cut costs. He said most businesses were having trouble paying back loans they had taken to cater for what they had hoped would be a sharp rise in tourist arrivals.